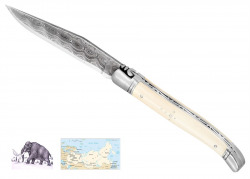 Damascus is the raw material of the blade. 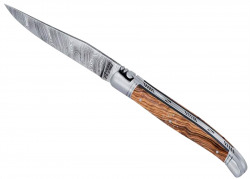 Damascus steel is handmade with 250 layers of forged steel. 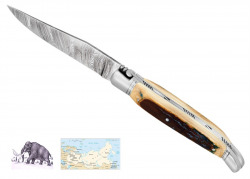 This genuine manufacturing process shows Laguiole's maker expertise. 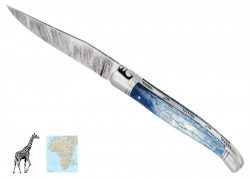 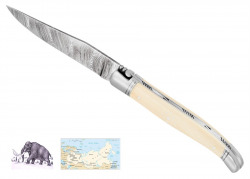 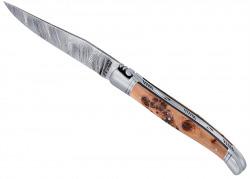 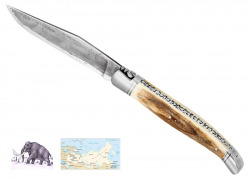 Laguiole with Damascus Blade There are 11 products. 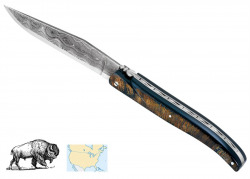 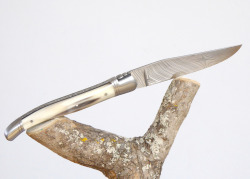 Laguiole Knife with Damascus Handmade Blade with its American’s Buffalo/Bison Horn Crust Handle. Laguiole Knife Damascus Handmade Blade with its Ironwood Handle from Arizona (USA).